In common with many home educators, my approach has become less structured over the years. The children benefit so much from time to play, read, write, create and get wet and muddy outdoors, and I don’t want to interfere with that too much. I haven’t quite gone down the autonomous route, though I think that’s more about me than the children. I like a bit of structure, a bit of visible progress, but I’m well aware that the real learning happens mainly elsewhere. So I try to strike a balance, and the children have plenty of freedom, but we do tend to do a bit of formal Maths and English (among other subjects) several days a week. 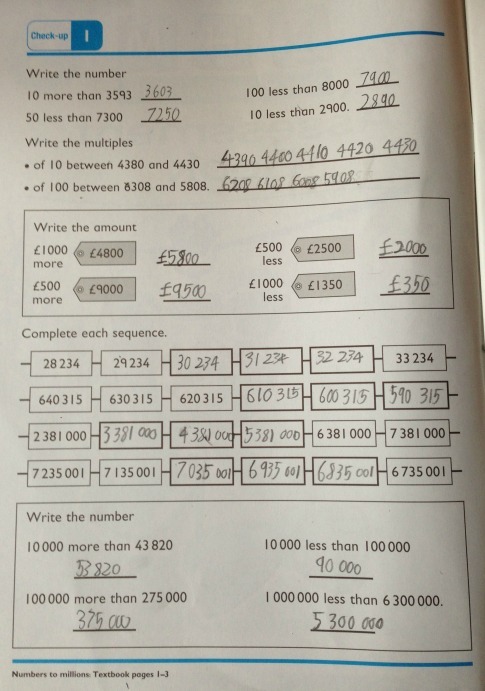 Owl was sent the assessment book for (the end of) Year 5, which is the school year he would have just started, and he has completed the first few pages easily. I rarely seek to compare their work with school levels, as I don’t think it matters in the long run, and it is much better for children to learn at their own pace. However it is obviously nice to discover by chance that he seems to be well ahead! Monkey received the Year 3 assessment book. Although he is not as confident as Owl, with a little encouragement he completed a couple of pages – he needed hardly any help, although he thought he did! So I’m pleased with what he can do, and I just need to find some ways to help him believe in his ability. Rabbit has been given five year 1 activity books, and she chose to start working on one about Shape, Measure and Data Handling. 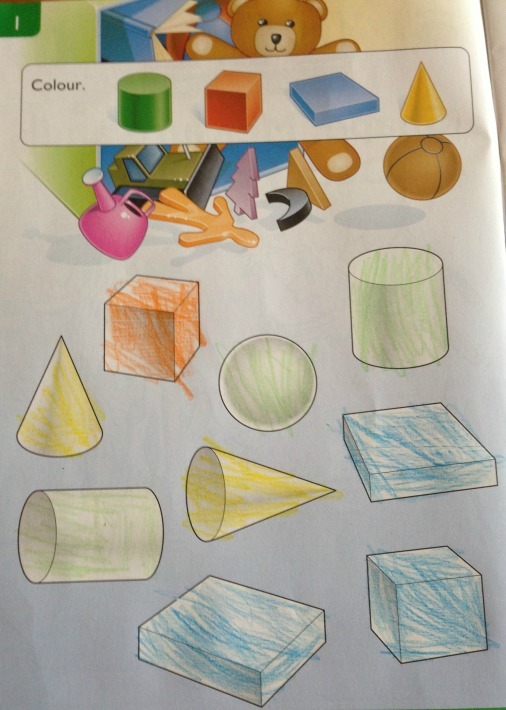 She completed the first section about 3D shapes easily and confidently. 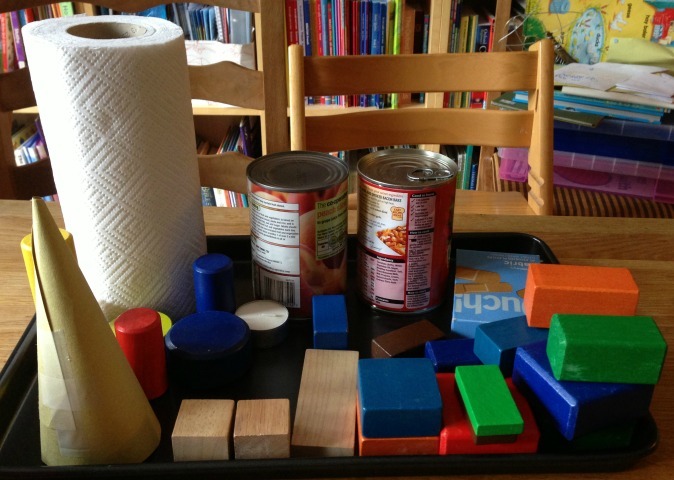 We had fun assembling a collection of 3D shapes from around the house too! We were sent the workbooks by Junior Scholars free for the purpose of this review. 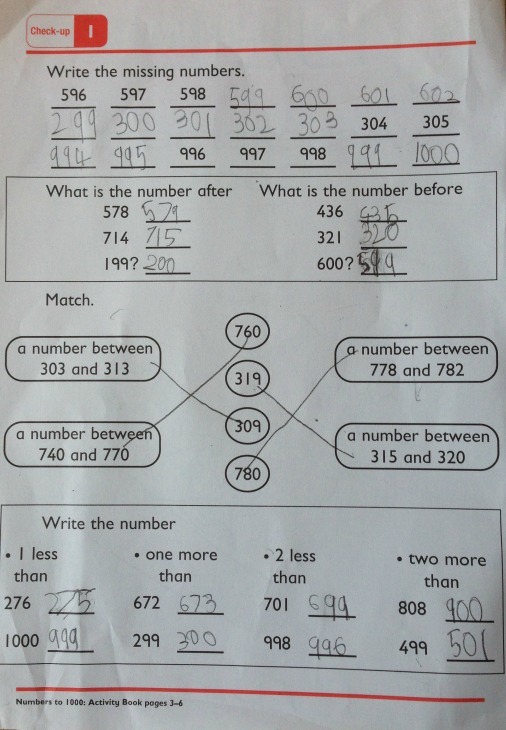 This entry was posted in Maths and tagged Junior Scholars, New Heinemann Maths, review on October 15, 2013 by Hannah. For this month’s education carnival, Jax has asked for posts about favourite educational resources. That is such a huge topic that it’s hard to narrow it down. There are so many resources that I love and use regularly. 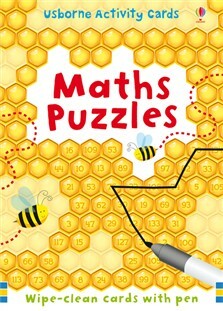 Online, there is Twinkl for printable activities, Reading Eggs and other interactive learning programmes, and some great free sites such as Maths is Fun, BBC Bitesize and NASA kids to name but a random few. Then there are books – fiction and non-fiction. We have thousands of them, and I wouldn’t know where to start in picking our favourites. Even if I could, that would definitely be a blog post of its own – or several. 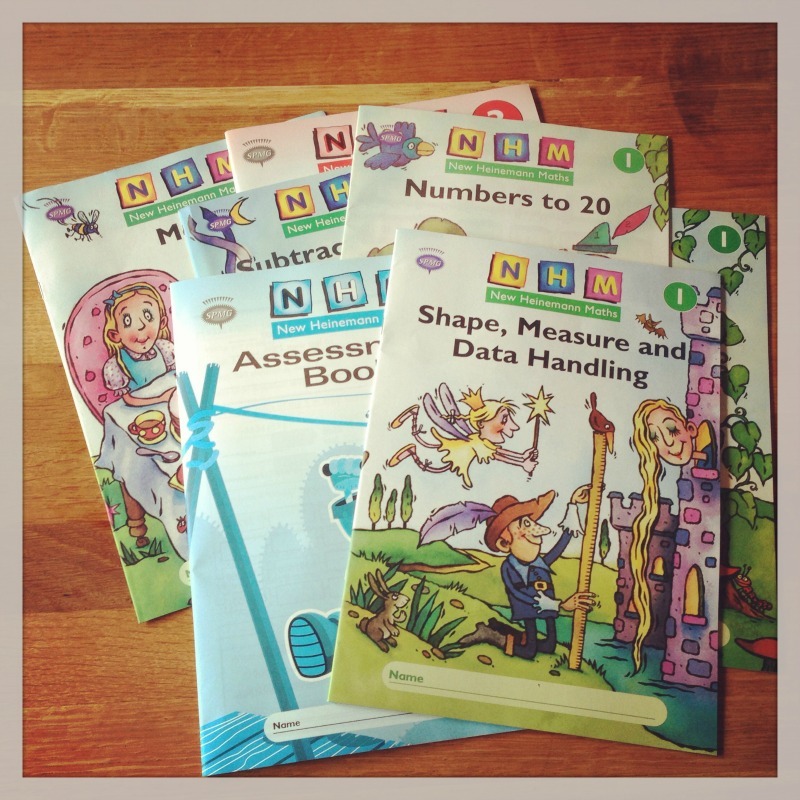 We also have some good text books (Galore Park) that we use as a focal point for certain subjects, and a variety of workbooks which can be useful, though I wouldn’t recommend getting too hung up on them. There is also a whole world of resources outside the home – museums, parks, National Trust properties, castles, beaches, woods, farms, libraries, sports clubs, home education groups and in our local area an ecology centre and lavender fields. So I thought about all that for a while, then I started thinking about the subject-specific learning resources we have at home. Our house is overflowing with art and craft materials and kits. We have Mr Maker-style doodle drawers for paint, brushes, pots, collage materials, recyclable materials for models and so on. Then we have several large boxes of Hama beads (Maxi and Midi) – we get ours from Craft Merrily. We have Science kits, magnifying glasses, a microscope, bulbs, wires and buzzers, torches and magnets. 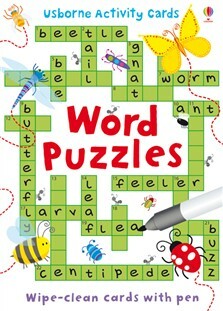 Then there are magnetic letters, letter tiles, flash cards, and games like Banangrams and Scrabble. Maths is the subject for which we probably have the most specific resources. We have magnetic numbers, number tiles, number templates, Maths card games and board games, Multilink cubes, base 10 materials, Cuisenaire rods, number fans, fraction magnets, counters, dominoes and dice. It was really hard to choose what to write about, so I used the random selection method of picking the most recent photographs of educational resources in use – and here they are. This is a Lego Education set (which we found on eBay) of number tiles, operation tiles and blank tiles and two white base boards. They are also compatible with our two large Duplo base boards as well, which is very useful with four children. We have used coloured stickers on the blank tiles so they can be used for matching and sorting activities. 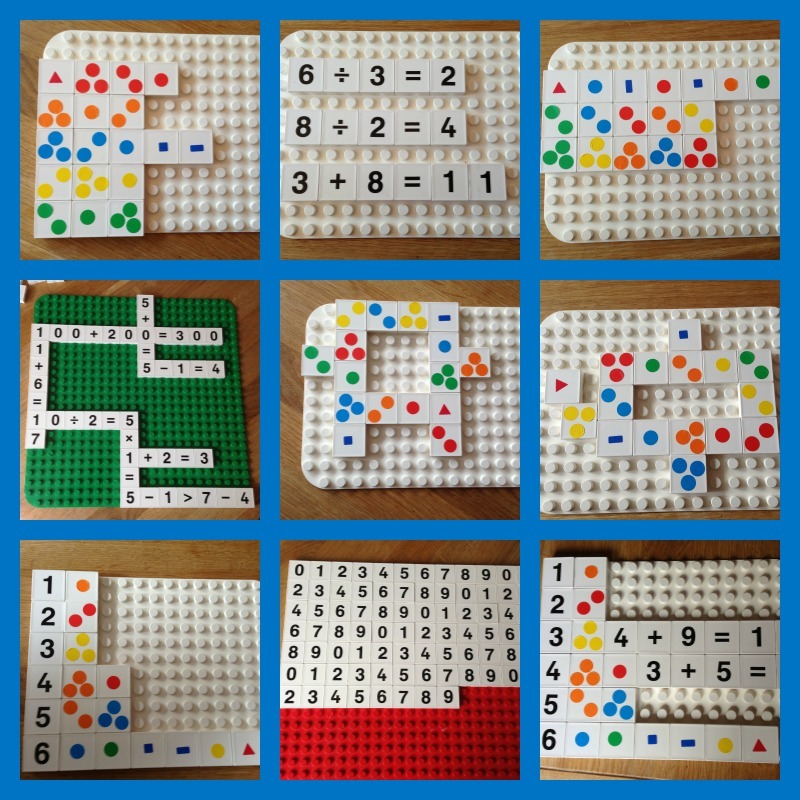 Print off some Number Digit Cards from twinkl and use them as target numbers for the children to make sums using the letter tiles. Use Duplo bricks and build towers, then place the number tile on top, or next to it, corresponding to how many bricks have been used. Also with Duplo bricks, make towers of two colours (e.g. three red and seven green) and then use the tiles to write the sum (3+7=10) to practise number bonds. 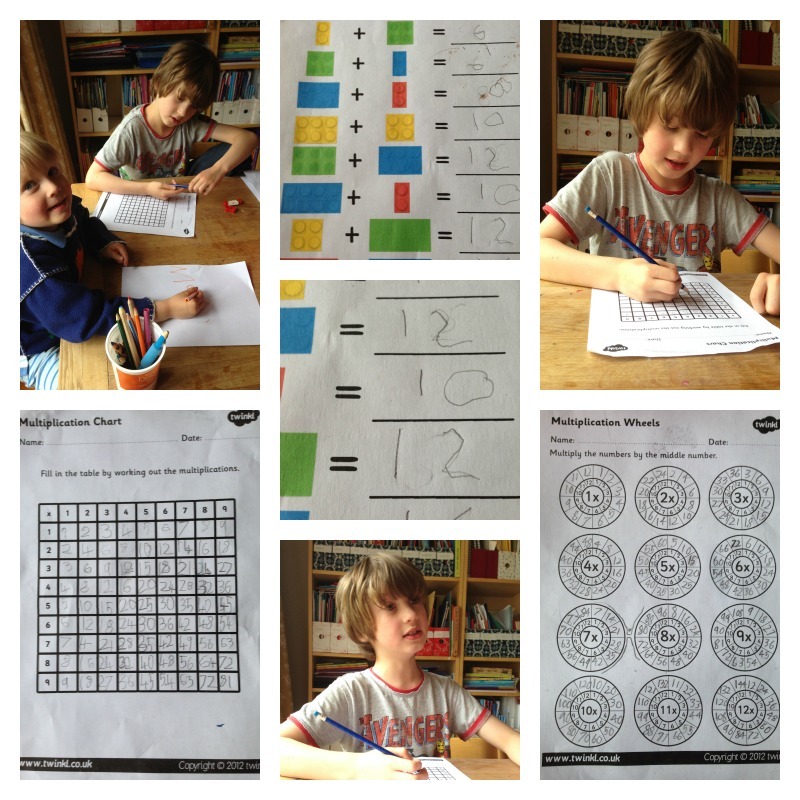 Give the children a selection of number tiles to order, then follow up with a Number Ordering activity from twinkl. Sort small objects (Hama beads, Lego bricks, Multilink Cubes, counters) into sets to match each number. Use the tiles (and possibly bricks as well) to make bar charts. Leave the boards lying around with some sums on and see who chooses to answer them! 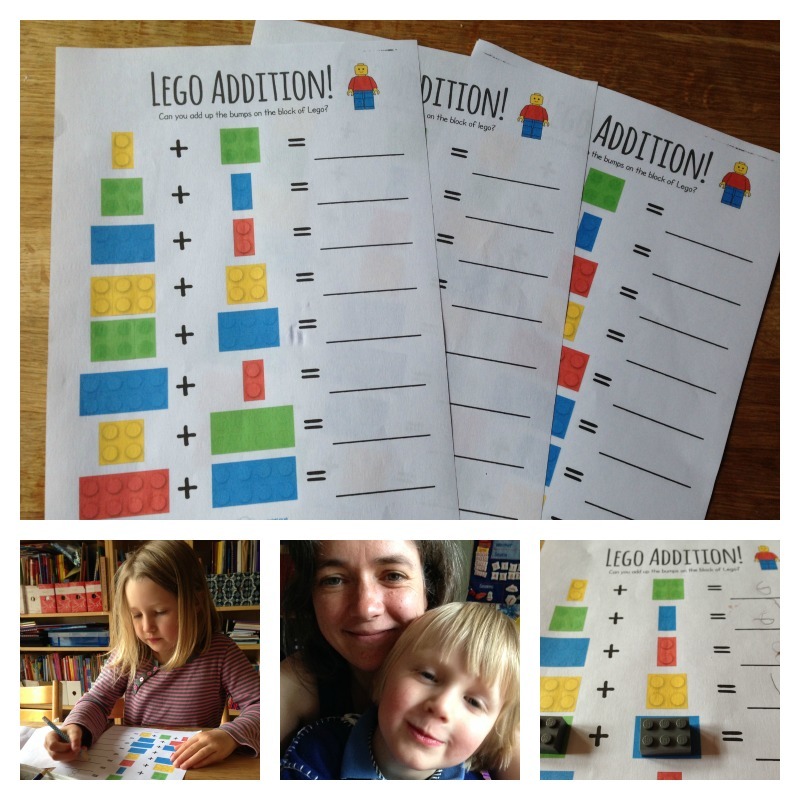 This entry was posted in Lego, Maths and tagged Lego Education, Maths, resources, twinkl on September 25, 2013 by Hannah. Today we have rediscovered these lovely Usborne activity cards. I think Monkey has done some of the word puzzles on his own recently, but it is the first time in a while that we have done them together. Owl and I did three of the Maths puzzles together (learning about co-ordinates, identifying even numbers up to 3 digits, and understanding probability.) Then Monkey and I did two word puzzles ( a castle word search, and matching pairs of words with opposite meanings) and one space-themed Maths puzzle which involved addition and subtraction. There is a great variety of themes and topics, and they range from fairly easy to very challenging. Sometimes we have used them to reinforce particular topics, but it’s also fun to choose some at random as we did today. 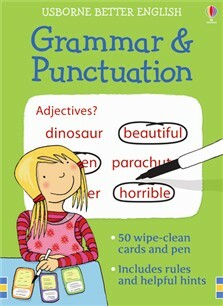 Usborne has lots of similar sets, including Grammar and Punctuation cards which we didn’t get to today, but the boys were both keen to do some of them as well, so maybe we’ll fit that in tomorrow. Anything that makes them excited about Grammar and Punctuation is good for me! 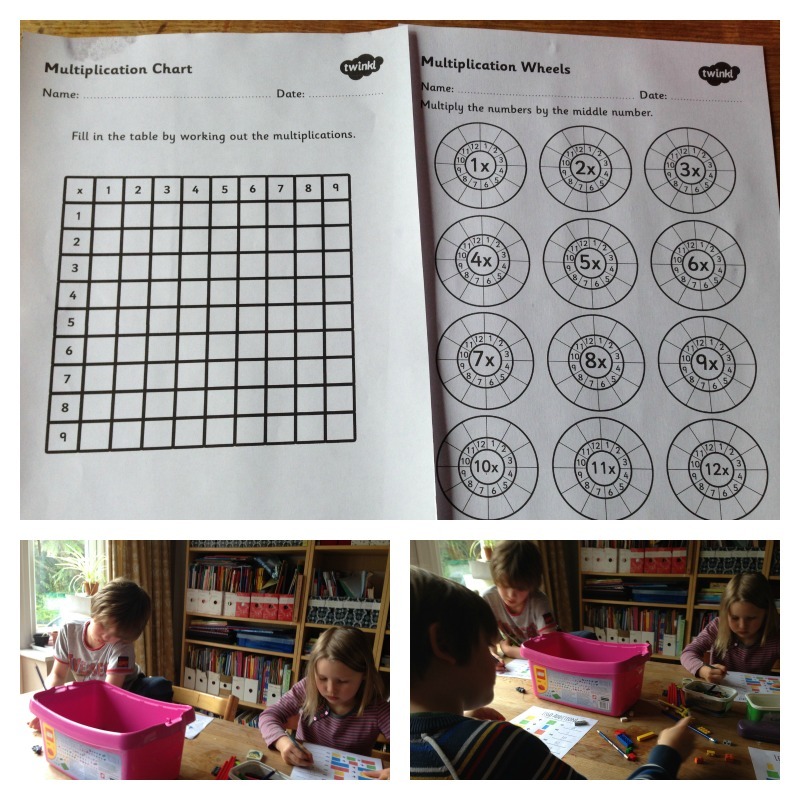 This entry was posted in English, Home education, Maths and tagged activity cards, grammar and punctuation, Maths, words on May 21, 2012 by Hannah.